Bully, Bully, Bully! 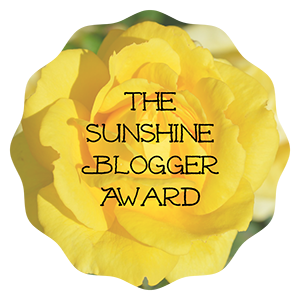 – October’s Month of Prevention – A Blog, A Magazine. It's JustsumInspiration! Hello Friends! Did you know that out of the 116 events October has going on this month – there’s one that tugs at my heart and that’s “National Bullying Prevention Month” in which was created by PACER a National Bullying Prevention Center in 2006. I would encourage you to visit the site as they have a lot of cool stuff going on and you’ll also be able to sign the PLEDGE which is a commitment to support and help others whom are feeling excluded or have been the target of bullying. I signed mine, will you take the pledge today? The color for bullying prevention is orange, so make sure you rock out some orange this month and not just for Halloween…LOL LOL! Related Post: I Bet You Didn’t Know This – October is FULL of It! When I was in school, I was bullied all the time – whether it was regarding my hairstyle, my dark skin, my quietness, the way I talked or how I dressed (in which I wore dresses all the time) I always felt like the target for something – I hated it – It was always when, I’d be sitting all by myself, not bothering anybody and just happen to look up and see a couple of girls or guys looking back at me – laughing and pointing because of the way I was eating my food or the constant stares I would get when I would walk by a group of girls and they would look me up and down and laugh because maybe I didn’t have on the latest shoes or clothes. It was a period in which if I had a wand; I would’ve made it all go away. But I didn’t have a wand, so, therefore, I had to face it – ALONE! When I got into the 9th grade; study hall was a place in which I dreaded to go. There was this guy in there who found a way to pick on me all the time and not only did he do it, but he acclaimed the attention of everyone else around him and they did it too. There would be such nonsense as, “Hey, Hey Girl” and when I would ignore him, he would call me the B word. When I would look over, he would say “Hey, this boy said he like you and then I had to suffer with the guy saying “I don’t like that ugly girl” and everyone would laugh and it would go on and on and on and on…the hour and a half couldn’t come fast enough, but for some reason it seemed to drag along as if it were enjoying me getting taunted too. I had no friends and I dare not tell my mom what was going on, she had other things she had to deal with such as taking care of me and my two siblings alone. There were many dealings I’ve had with bullying, such as getting ganged up by a group of girls after school, to getting slapped by a boy so hard; until I never thought I would be able to see straight again; it wasn’t like I did anything to cause this – the cause of this was me doing nothing at all, just minding my own business – these things and many others like it was so detrimental, I literally wanted to take my life and almost did (something I never shared with anyone). I say all of this to say, bullying is not only mean but it’s an issue that if not dealt with, can leave you helpless in thinking that you’re alone and no one cares for you or about you. “Man, I wish I was pretty” I would always tell myself because everyone around me said that I wasn’t – this stigma followed me until I got into my early 30’s (to this day, I still have trouble actually looking at myself in a mirror). 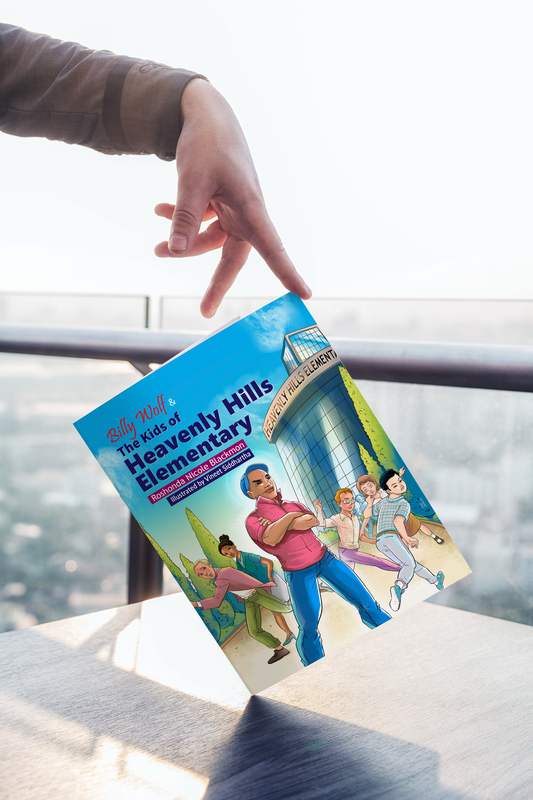 My purpose for writing “Billy Wolf and the Kids of Heavenly Hills Elementary” is to tell the story of the many bullies we have walking around today – but, we can’t face them alone. We need more than one person to stand up, we need a nation. People that will not only sit back, laugh, post to social media and watch while others are being humiliated and degraded but people whose had enough and are willing to take a stand and help those being bullied; we need people who want to see CHANGE! We’ve lost too many young people and adults as well to this growing epidemic – I was almost one of them. I didn’t realize how important my voice was until I began to use it – you have a voice; use it to regain your power even if you have to go the news – make your voice heard!! Let’s take care of each other, people can’t help the way they were raised or maybe what they were taught – let’s treat everyone as an equal; let’s stand up and make our voice heard; especially to the ones who have not yet found their inner voice, to speak out. Let’s Take A Stand Against Bullying – Let’s SPEAK UP!! Being that this is “Bullying Prevention Month” – Did you know that, that’s what my new faith-based book is all about? Adults, as well as children, can get something from it as we all have faced it in our own lives at one time or the other. “I thoroughly enjoyed the book “Billy Wolf & The Kids of Heavenly Hills Elementary”. In a day like today, lots of kids deal with bullying. I loved how it encourages kids to stand up for good and be the one to make a change. It also gives the perspective of the bully’s life as a lot of times these children are dealing with bad situations and environments, and need help themselves. The book would be a good gift to kids and their parents to have open discussions and dialogues.” Tasha V.
Will your Review be the Next Featured? Next Sunday’s Thought: When You Give More, Receive Less & Pout About It! Kids can be so mean, It kills me sometimes. I always wonder where they get this meanness from and I always think it’s from home. I don’t understand the mentality of picking on the underdog. I don’t understand the picking on someone just to get laughs from others. The entire notion just breaks my heart. I recently read about a kid, a 4th grader, who killed himself because he came out as gay to his so-called friends in school. I read he was teased so badly, and a few of the other kids started chanting for him to “kill himself” and my God he actually went home and hung himself. Fourth graders, Roshonda!!! 4th graders!!!! Where do these mean, unemphatic kids come from? How can anyone, especially a child, who should be enveloped in innocence, be so cruel. Unbelievable!!! Rakkelle – my heart just stopped. That poor baby!!!! I’m like literally in tears right now, this hurts me soooooo bad. Where are the teachers (of course they’re too busy with overcrowded classrooms) where are the principals (trying to run the school and handle issues regarding teachers as well as students) and where are the counselors?????? When I was in school we had school counselors, people you could go too when you were having issues, although I never utilized it because I felt as though my bullies would find out and then there would be more hades to pay after school. What are the schools doing to make school a safe zone for kids. Everyone is so busy, classes are overcrowded but yet we have an ongoing dilemma that no one seems to bring attention too unless some big named celebrity gets involved. Our babies are killing themselves, people should be able to come out and not get reprimanded, abused or beaten for it. 4th grade???? The bible says “Charity starts at home” – where’s the love, what’s going on in those kids home to make them act that way or do those mean things. It’s so sad but yet I feel so helpless – how do we stop our babies from killing themselves, they feel like they have no one to turn too. My God…..
Ah bullying. Sorry to hear about your youthful days. Mine were a bit different (5th grade). You state you wish you were pretty, but that brings problems too. I would get jumped by the boys in my class in a lets feel her up (and not much there) moment. My teacher’s excuse, they do it because you’re “cute.” I had been granted permission to leave five minutes before the end of day bell per my mother’s request. At least she acted on it. Yet who gets blamed, the victim of course. Nowadays it may have been treated slightly differently, but I bet I would have to change schools…. Bullies are nothing but cowards taking out there insecurities on a weaker victim (in their eyes). This includes adults bullying. Because if the person being bullied would be equipped with the proper words to fight back, the bully would be the one to be embarrassed instead of the victim. Now, I would probably get in trouble for shooting down a teacher or administrator for not handling a bully the proper way-like finding out what the hell is troubling the person in the first place. It usually is something in the home, or being bullied themselves by someone else. Duh, can’t figure that out and investigate the problem child…? Wow, EmotionalNotions – you’ve said a lot here and I’m so sorry you had to go through that. I guess in my eyes at the time, being pretty seemed more favorable in my eyes, I guess I was just looking at it from a one-sided view. But I do understand that “pretty” girls get hassled and bullied too, espcially by senseless girls who feel as though the “pretty girl” thinks she’s better than anyone and may be favorable with the guys and they’re not. Bullying comes in all shapes, sizes and colors and yes, adults are bullies too. I too often wonder about the teachers and administrators and what are they doing to help this epidemic that seems to not be getting too much light. Except when a hurting childs parent posts things to FB and goes viral and next thing you know every celebrity imaginable want to step in and make that child feel better – but how long does that last, they still have to go back into the same environment. I just wish schools were more proactive and could put things in place where kids wouldn’t have to suffer, but nothing happens unless – it hits a person’s home or it’s too late.